Hurtling towards the earth 30 times faster than a rifle bullet, a 1,400-ton fireball exploded with the energy of 10 Hiroshima bombs in a blinding flash on the night of Dec 18, 2018, becoming the third largest meteor impact in modern times. However, the explosion, 15.5 miles above the remote Bering sea, had no witnesses and was picked up only on NASA instruments, which had held onto their secret until now. On March 8, meteor scientist Peter Brown pointed to the latest data release, which showed the massive explosion near the Kamchatka Peninsula, in Russia’s far-east, just before midnight. “Object was 10 meters (33 feet) diameter, mass 1400T, and impacted with an energy of 173 kilotons of TNT,” Brown wrote on Twitter. 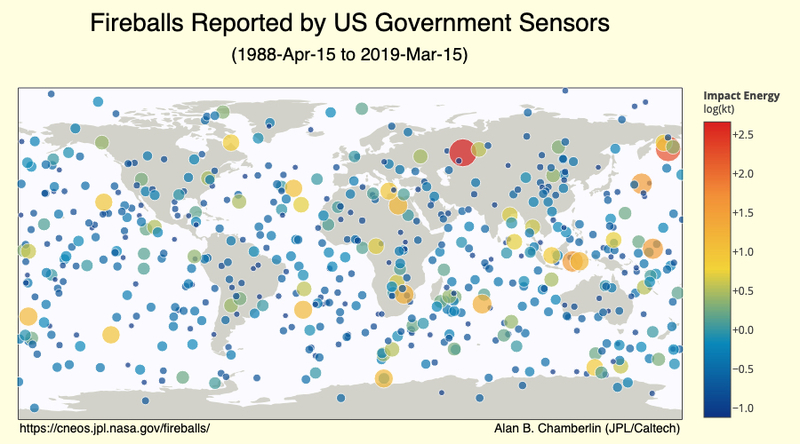 The data was picked up by infrasound stations globally which were initially set up to detect nuclear blasts during the cold war. According to Brown, the data was gathered from 16 infrasound stations worldwide. It is unclear why the data was released so late. According to the New Scientist the triangulation process requires combining pressure wave data from multiple monitoring stations, which could explain the delay. It is the third-largest such explosion recorded in over a century, and the largest since the Chelyabinsk meteor six years ago. “That was 40% the energy release of Chelyabinsk, but it was over the Bering Sea so it didn’t have the same type of effect or show up in the news,” Kelly Fast, near-Earth objects observations program manager at NASA, told the BBC. “That’s another thing we have in our defense, there’s plenty of water on the planet,” she said. The explosion over the Bering Sea was also picked up by U.S. government monitors that detect fireballs: their sensors pick up electromagnetic radiation in the form of infrared and visible light. But both the Bering Sea and Chelyabinsk explosions are smaller than the earliest well-documented meteor explosion known as the Tunguska event, which occurred over Siberia in 1908. That air burst explosion from the 220 million pound rock, about 120 feet wide, flattened an estimated 80 million trees over an area of more than 770 square miles. 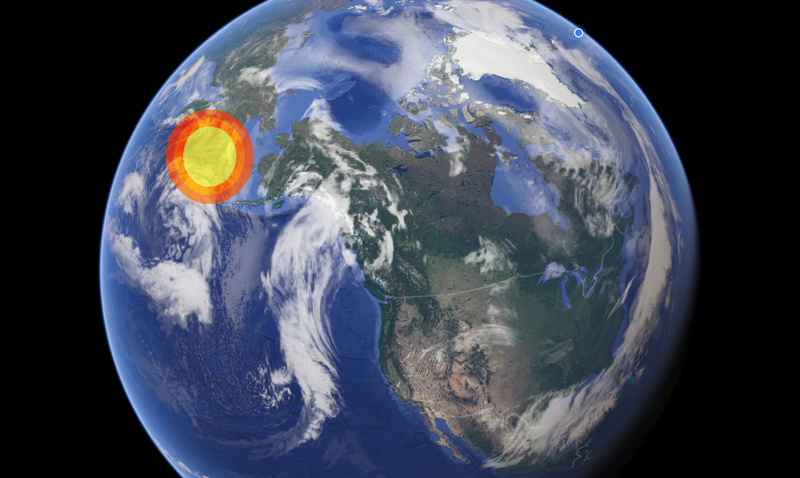 The giant fireball hit on 18 December over the Bering Sea, a part of the Pacific Ocean between Russia and Alaska. 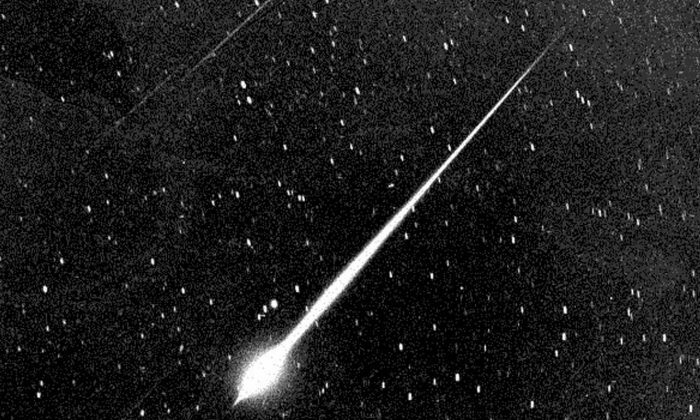 There are very few well-documented stories of meteorite-caused injuries or deaths. According to NASA, the first known case of an extraterrestrial object injuring a person was in the United States. “Ann Hodges of Sylacauga, Alabama, was severely bruised by a 8-pound (3.6-kilogram) stony meteorite that crashed through her roof in November 1954,” NASA’s website states. For scientists who know where to look, the earth is pockmarked with evidence of large impacts.